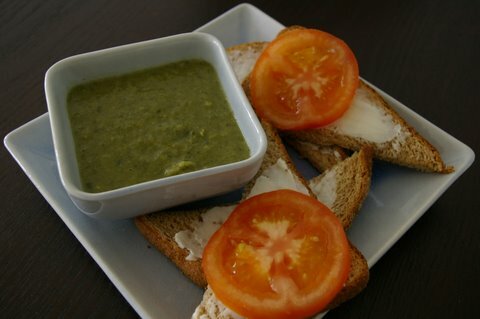 soup cravings or a blender addiction? 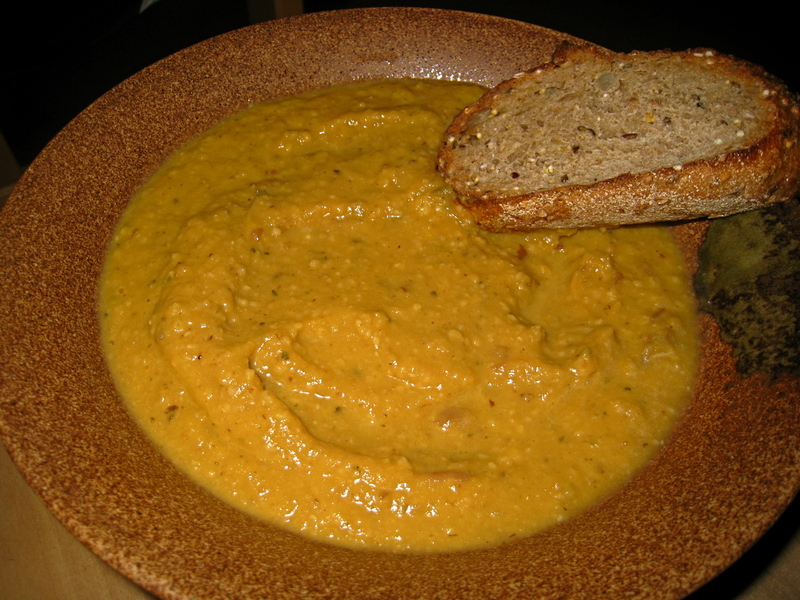 I made another soup tonight–Pumpkin Butternut Squash Soup with Toasted Hazelnut. I was at Whole Foods, and I wanted something warm, nutty, autumn-inspired for dinner tonight, so what better than pumpkin soup? The more I thought about soup, the more I craved for it. But since I’ve never made it before, I had no idea what else other than pumpkin I would put in it. 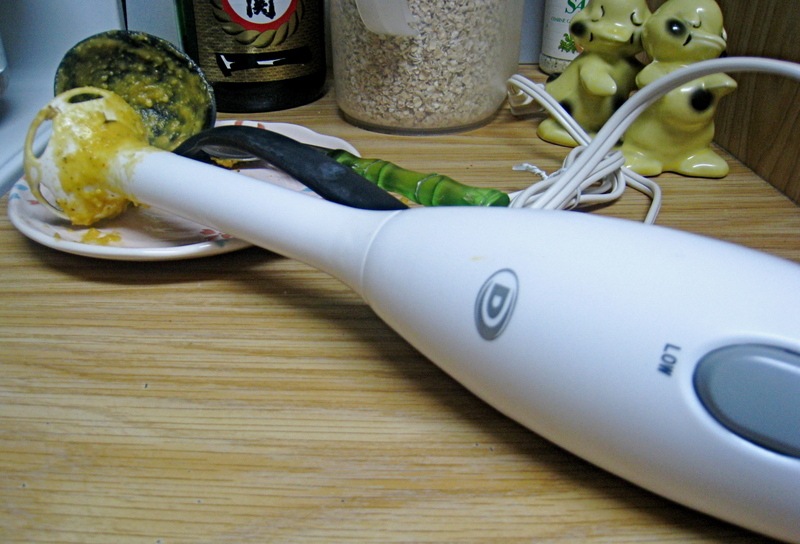 I just knew that at the end, I’d be pureeing the soup with my favorite new gadget. I picked up canned pumpkin puree, nutmeg, shallots, frozen butternut squash–already not an ambitious attempt to make the soup with fresh ingredients. After clicking through an assortment of pumpkin soup recipes online, I’ve decided to only loosely follow what has been simmered, and pave my own golden pumpkin road to another great soup. I sauteed onions, shallots, and garlic until softened. Then I added the butternut squash, some sweet corn, and seasoned it with sage, thyme, cumin, bay leaves, nutmeg, salt and pepper. After everything was softened, I poured in the pumpkin puree and chicken stock. I kept added herbs and spices until it tasted closer to what I imagine my soup should taste like. Still it lacked depth and sweetness. I got a little impatient with trying to figure out what was lacking in the soup, I just wanted to jump to the final step–the best part of making soup–busting out my immersion blender. Realizing that my soup tonight wasn’t going to get any better than what it was, I tossed in the last ingredients of toasted hazelnuts, maple syrup, a little cream. Without even remembering to take out the bay leaves, I blended away. The blender is loud and it splatters hot soup on my arm, and I actually don’t even know if this cheap brand can withstand the heat of the hot soups I’ve been plunging it into, but I love the crushing process. Blades in hand, it makes me feel strong. Muahhhahhaha. Oh, the soup. It was good, but not quite the flavor I wanted, so I won’t bother posting the recipe now. It needs deeper layers of flavor. But it was still quite a tasty and filling meal full of autumn lusciousness.